According to Barbados Today, the minister made the remarks Thursday morning during the release of the preliminary findings of a firearms study conducted by the Criminal Justice Research and Planning Unit. The publication reported that Hinkson suggested the time may have come to revisit the draft anti-gang legislation proposed last year by the then Freundel Stuart administration. However, the Minister suggested that he was not totally sold on the idea, stating that such a measure would come only after all other options were exhausted. “Jamaica and Trinidad have passed anti-gang legislation within the last few years. I know that the previous Government was contemplating passing such legislation. In the draft legislation, I’ve seen comments from various forces, the Solicitor General’s office, the Defence Force and the police force on the issue. It is something that we may have to look at again going forward, certainly as a last resort,” Hinkson said. The Minister noted that recent research has shown that Barbados does have a gang issue and that the block culture has become one of the major breeding grounds for this anti-social behavior. 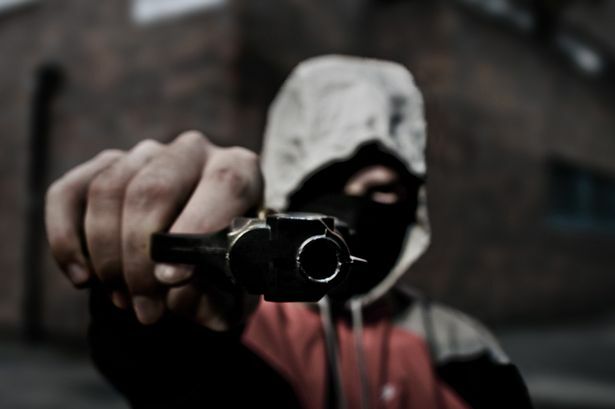 “Research evidence confirms that Barbados has a problem with gang violence . . . and access to firearms has fueled the violence associated with gang activity. There’s also the element of the block culture, where gang members lime on some blocks for the purpose of engaging in criminal activity. This creates communities that are incubators for criminal activity,” he said. Hinkson also disclosed that Government was considering the implementation of witness protection programmes to protect those brave enough to testify criminal actions of gangs.